Juan Manuel Miñarro is a professor and the head of the Sculpture and History department at Sevilla University. Recently he started using the Artec MHT scanner in his scientific investigations. The main purpose of using a 3D scanner is to create digital copies of sculptures that have cultural or historic value. The scans are used for complete analysis of sculptures: to compare the measurements of a digital copy and original statue and to compare these scans with other topographic studies and their 3D reconstructions. Right now Mr. Miñarro is investigating the Sacred Shroud of Oviedo, the bloodstained cloth that is kept in the Cámara Santa of the Cathedral of San Salvador. The Shroud is claimed to be the cloth wrapped around the head of Jesus Christ after he died. The investigation’s aim is to produce a facsimile cloth of the original Holy Shroud. The shroud can’t be touched, moved or disturbed, so a 3D scanner is the only solution for creating a digital copy. 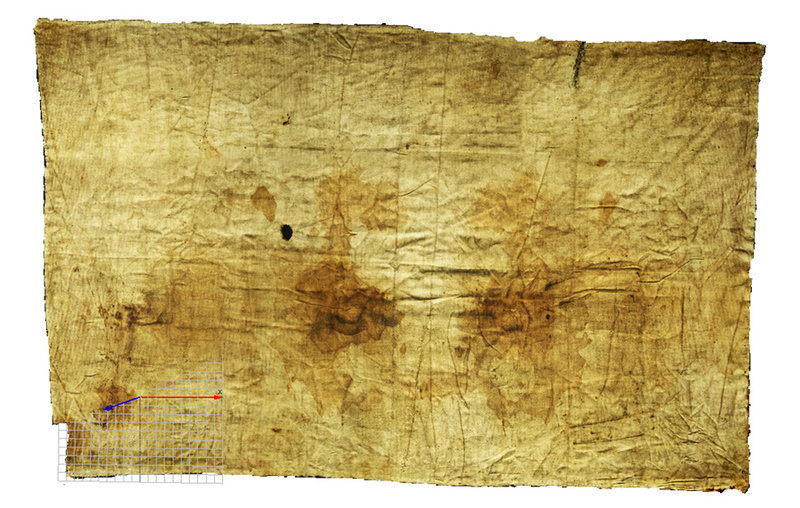 The scanning of the shroud took 15 minutes and no particular problems were encountered except the necessity to adjust the object brightness in Artec Studio software. Post processing took 45 minutes. According to Mr. Miñarro, the accuracy of the scanner was exactly what they needed and the measurement tools were essential for this job: specifically, the geodesic measurements were especially useful because the scanned object has an irregular surface with permanent creases that can’t be eliminated. That tool provided exact distance between two points, no matter the surface deformations. Moreover, the section tools allowed the research team to obtain exact topography of every segment of the object. Since the object couldn't be touched, before having a 3D scanner, the team used a measuring tape which proved to be a highly ineffective method. After introducing a 3D scanner into the work flow, Mr. Miñarro’s team is convinced that the Artec scanner can be used not only for the Holy Shroud of Oviedo, but also on the Shroud of Turin in the future as best possible method to study its topography. A CT scanner at the Cemedi Hospital of Sevilla was used to acquire internal data of the Shroud. The two images were combined to give researchers a full 3D image of the object: inside and out. As Professor Miñarro explains, one of the benefits of having an Artec scanner is the ability to export .stl files to a CNC machine to reproduce sculptures and historical artifacts in other materials (steel, wood, stone, etc). It is also extremely useful in capturing color, so that the object can be recorded, studied or reproduced exactly as it was. The historic objects don't have to be touched and the price of the scanner makes it affordable to all universities and museums.